View of the Grafskoy Shul looking Northeast. The sign 1952 dates from the 1952 renovation of the Shul as a Community Center. served as "Starosta" (mayor) of Grafskoy. 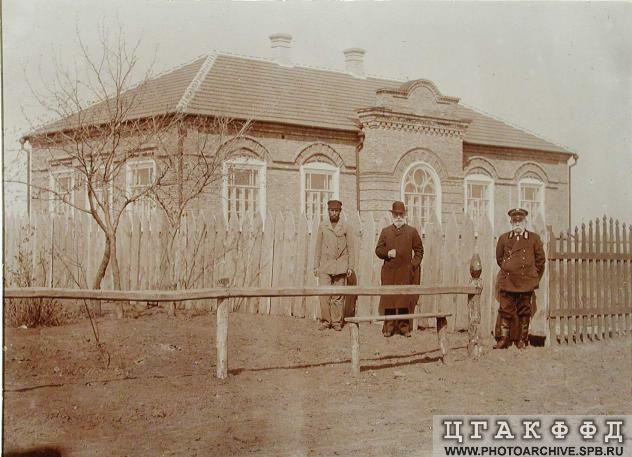 Grafskoy School evcol 22, 1904. Note: Residents called it "Grafskoy" not Grafskaya which may appear in various sources. Born 1830, Rassein (now Raseiniai), Lithuania. Son of Rabbi Shlomo-Zalman Halevi (1798-1853) and Yokhved Komisaruk. Great-Great-grandson of the Vilna Gaon." 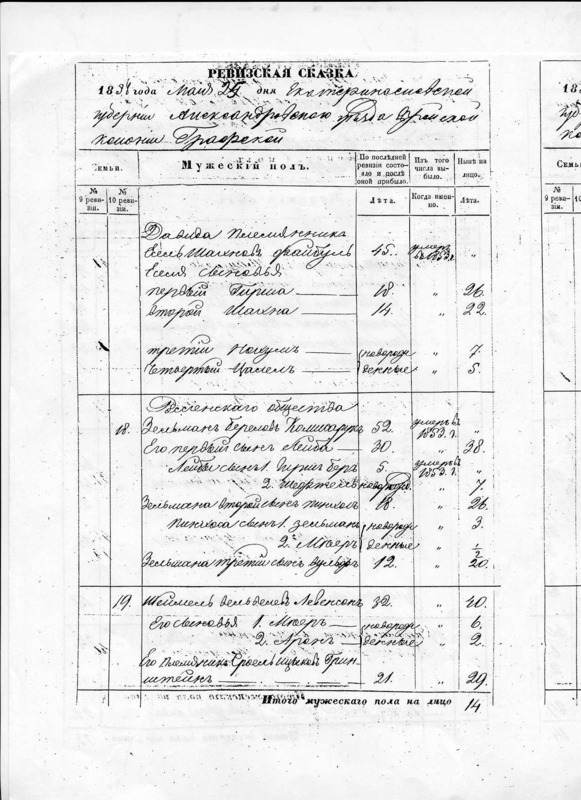 Prenumeranten lists have been discovered which include the kolonyas. While the entire lists merit translation here are some highlights. The transliteration maintains the actual Hebrew spelling. Rabbi Shlomo Zalmen Komisaruk of Vasilkovka (1855-1920). Those sections of "Our Father's Harvest" which are relevant to the colonies have been scanned for this site. 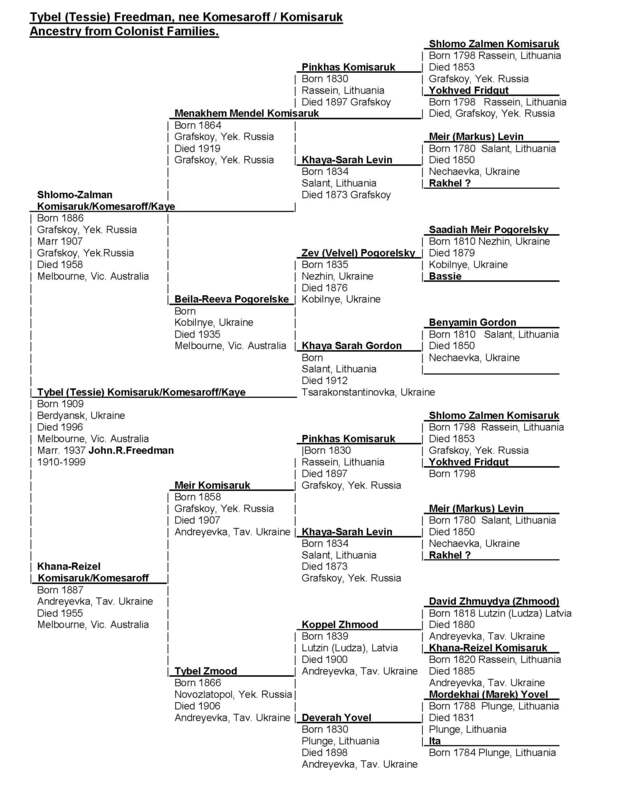 Some of that material has been considerably updated as it became available from Ukrainian and Lithuanian archives after the fall of the Soviet Union. Such material did not appear in the original book provided here. Nevertheless the information in that book provides valuable material particularly that obtained from interviews of Freedman's great-uncle William Komesaroff (Melbourne) who had vivid memoirs of the colony Grafskoy. I used a satellite photo of Proletarsky, formerly Grafskoy, to recreate a photo of the home of the Komisaruk family. 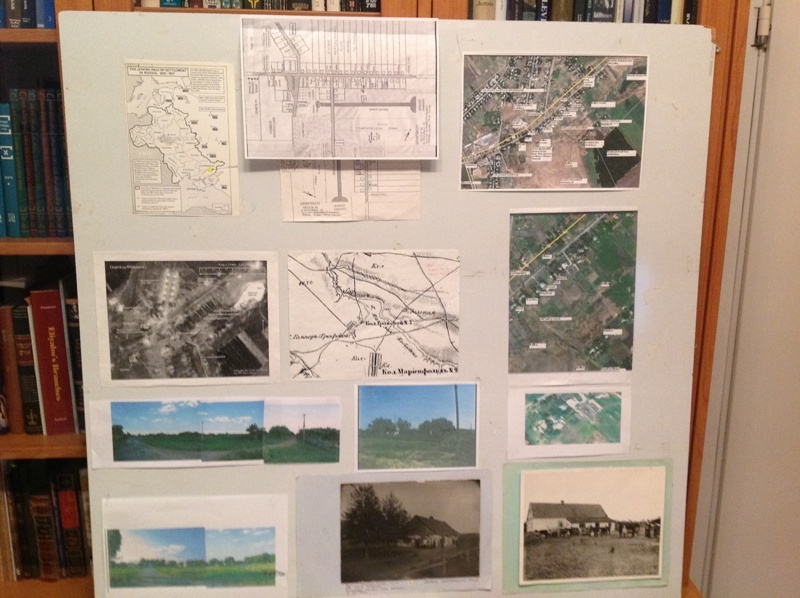 Willie Komesaroff's plan of Grafskoy, drafted about 1970 and based on his memories until about 1919. (see this site). Maps from various sources, 19th century Russia, pre and post Revolution. Aerial photo taken by the German airforce in 1943. Old family photographs of people and houses. Mel Comisarow's photos taken on his visits to the colonies in 1999 and 2002. Photos taken by local Ukrainian Orlinsky in 2010. I built a model of Grafskoy placing photos on a table around roads and features derived from the above sources. Attached are photos and a video of "Grafskoy resurrected" from my presentation.